The Foreign Ministry shot back at U.S. criticism of Russia's stance on the conflict in Syria, saying Washington's suggestion that Moscow should "pay a price" for helping keep President Bashar Assad in power was "inappropriate." Deputy Foreign Minister Gennady Gatilov said U.S. Secretary of State Hillary Clinton's statement went against the strategy for ending the bloodshed in Syria that was adopted by world powers on June 30 in Geneva. "The statement was inappropriate," Gatilov said Friday, Interfax reported. "What worries us more than anything is that such remarks go against the final document of the Geneva talks, the adoption of which was approved with the participation of the U.S. secretary of state." Russian authorities say they are committed to the peace plan of UN envoy Kofi Annan, which prescribes national dialogue. But they reject the position of Western powers and their Gulf Arab allies that Assad must step down to enable reform in Syria. Annan told the French daily Le Monde in an interview published Saturday that Western criticism of Russia is diverting attention from the role of other countries in backing Assad and arming his soldiers, notably Iran. "Russia has influence, but I don't think that events will be determined by Russia alone. What strikes me is that there is so much talk about Russia and much less about Iran, and little is said about other countries that are sending money and weapons," he said. "All of these countries say they want a peaceful solution, but they undertake individual and collective actions that undermine the very meaning of [UN] Security Council resolutions," he added. Foreign Minister Sergei Lavrov, meanwhile, dismissed suggestions that Russia was planning to offer political asylum to Assad. Lavrov said the issue first came up during talks between German Chancellor Angela Merkel and President Vladimir Putin in Berlin last month, adding that it was first raised by the German side. "Our delegation took it as a joke and responded also with a joke: Why don't you, the Germans, take Mr. Assad if he wants to go somewhere?" Lavrov said at a joint news conference with German Foreign Minister Guido Westerwelle on Thursday. 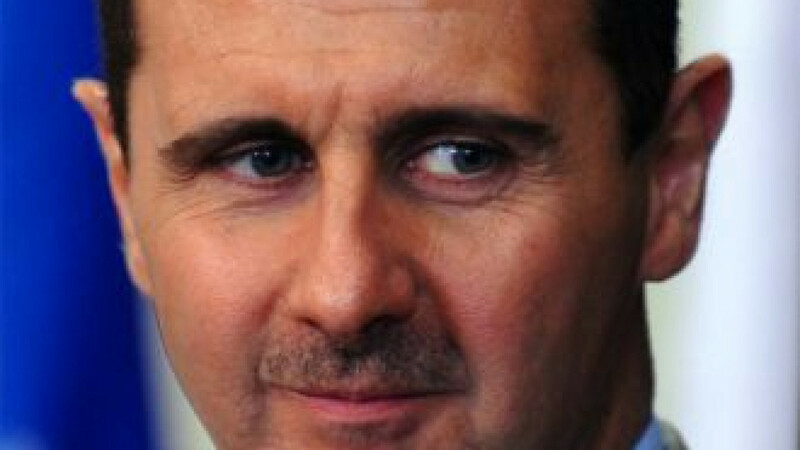 "I was very surprised when, during my recent contacts with my foreign colleagues, when we were discussing the Syrian issue, I heard that they are convinced that we will take Assad and thus solve all the Syrian people's problems," he said.